A similar point was made in a January 2015 Science article, “Planetary boundaries,” by 18 international experts led by Will Steffen of the Stockholm Resilience Centre. Researchers find 4 of 9 planetary boundaries have been crossed: climate change, loss of biosphere integrity, land-system change, altered biogeochemical cycles (phosphorus and nitrogen). Here is the key chart of their findings (an update of their original 2009 findings). 2014 was the hottest year on record. And 2015 isn't proving to be any better — so far, we've seen droughts and water shortages all over the world, rising food prices and even the world's first climate refugees. The impacts if we don't act quickly are almost unimaginable –a staggering billion people could be forced out of their homes by 2050 if we don't curb global emissions. One thing is clear: we need a global climate deal, and we need one now. This year's UN climate talks in Paris will be a pivotal moment to fight back against the disastrous consequences of climate change. These negotiations have to succeed — the stakes have never been higher. Yet we’ve heard that corporations will sponsor 20% of this year’s talks. Every year, giant fossil fuel companies like Shell and Chevron send their slick corporate lobbyists to protect fossil fuel profits and stall real climate action. 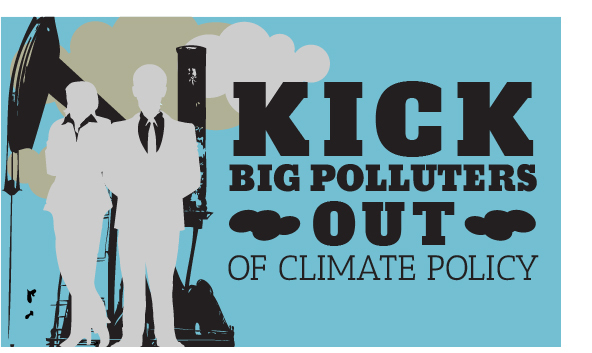 The planet can't wait any longer — it's time we kick big polluters out. Sign the petition asking the UNFCCC (UN Climate Convention) to ban big polluters from the climate talks in Paris this year. Private sector to chip in for COP 21, Euractiv, April 23 2015. Another dirty energy dominated COP?, Euractiv, April 30 2015.